Product #17538 | SKU BLUEBERRY | 0.0 (no ratings yet) Thanks for your rating! 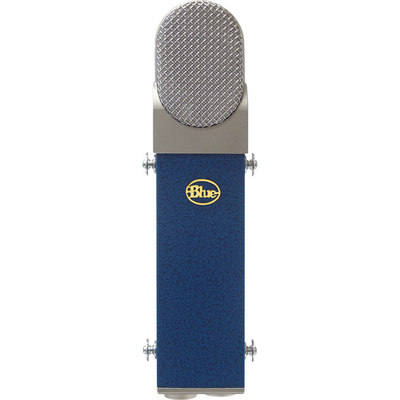 The Blueberry Microphone from Blue features a precision-engineered, large-diaphragm cardioid condenser design with an open, natural response tailored especially for vocals. It can also be used for recordings with acoustic guitars, hand percussion, drums, and similar instruments. There is a pressure-gradient, large diaphragm element sputtered with a combination of gold and aluminium and a 6-micron mylar film tensioned to hand-built brass backplates for a high transient (peak) response and minimised distortion. A hand-built capsule and discrete low-noise circuitry provide detailed highs, smooth mids, and an articulated low-end. The microphone includes a wooden storage box and a shockmount.